Monsoon rain in the desert is always a welcome break from relentless heat and intense summer sun, but it’s also an invitation to annoying bugs and stinging pests to come crawling into your nice, dry home. The accompanying dust storms, along with the water runoff, can interfere with previous pest treatments and cause new issues. You might be wondering if pest control during the monsoon season is the answer. So, When Does It Really Rain? During the Arizona monsoon season we see half of our annual rainfall. That means that the other half of the rainfall will be sprinkled over the rest of the year. In our climate, the after-effects of rainy weather are a year-round problem, not just during the monsoon. October 2018 is already the third wettest October in recorded history, and there are still 23 days left in it! Bugs and other pests love the refreshing rain, as humidity and moisture help pest populations explode. Any insect is going to seek shelter and food when their normal habitats are disturbed by dust storms, rain, and flooding. And wherever the insects go, the predators will follow – these are not the kind of roomates you want! Both ants and termites tend to swarm during monsoon season. The soil is temporarily moistened, making it easier for digging, tunneling, and nesting. Of course, flooding will send them looking for food and shelter. Keep food spills cleaned, crumbs swept up, and food containers sealed to prevent unwanted guests. Swarms, flying termites, mud tubes near foundations, wood structures, or on drywall are all indicators that a pest control professional needs to evaluate for infestation and prevent or minimize damage. Mosquitoes love storms. They lay their eggs and in no time at all, young mosquitoes are feasting on you, your family, and your pets. Drain any standing water in toys, bird baths and unused fountains, uneven depressions in the yard, old tires, and buckets. 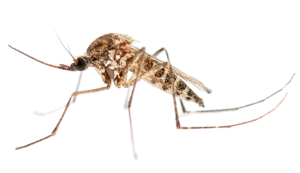 Mosquitoes are more than a nuisance – they transmit diseases to people and pets and cause serious health problems. Our experts can advise you on simple changes to your landscaping after a storm to minimize mosquito havens. A pre-monsoon inspection is a great place to start, and a post-monsoon inspection is a good follow-up. The pest control experts at Arizona Organic Pest & Termite Control know how pests behave when it rains and how to create a customized pest control plan to keep your property protected. Call us today to set up an appointment before the next round of rain comes to town.